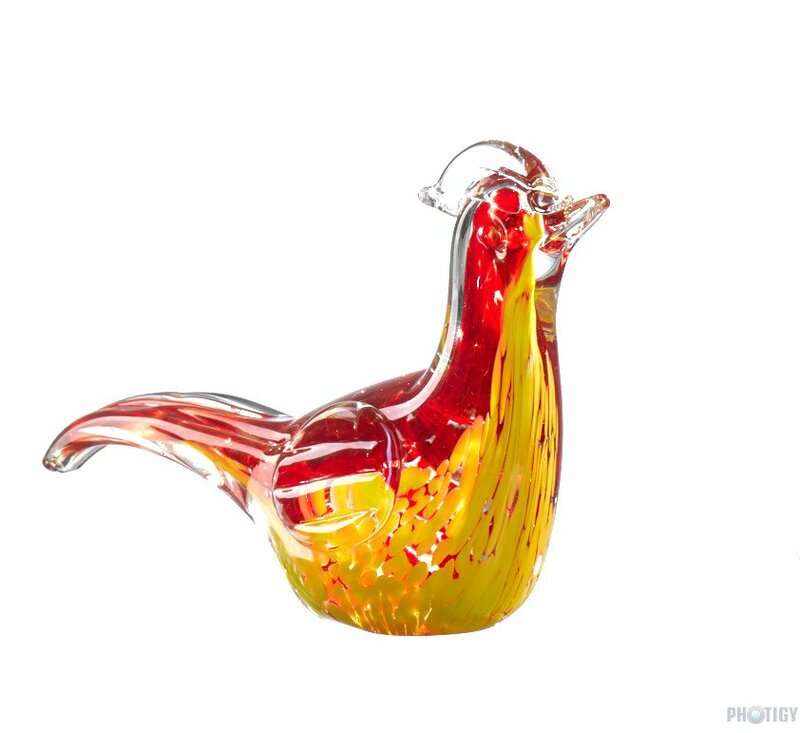 It was a question from one of our community photographers, Suzanne about how to photograph a glass vase, and particularly on a white background. 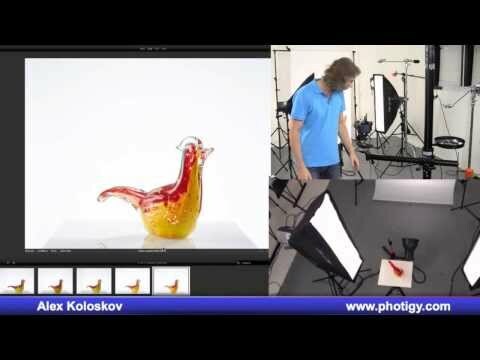 I’ve recorded my answer on video, and then went back and created another one, so we got two parts here: In the first part there is an explanation of what wasn’t right with Suzanne’s lighting setup and a basic technique on how to photograph glass in studio. In the second part I went a little deeper into the technique and showed how to get 100% white (255 RGB) background right from the camera, without any post-production. This is unedited (except RAW conversion) photo of that glass pterodactyl 🙂 on a complete white (255RGB) background. Notice the dark edges around the subject, this prevents clear glass to be soaked by white overexposed background. All done in the camera, no post-production. Hello. You mention in the video at 1:35 about a link for a DIY shooting table. Is that link somewhere still for access? Thank you. Hey Tim, not sure what you mean. There is some explanation about reflections at 1:35.